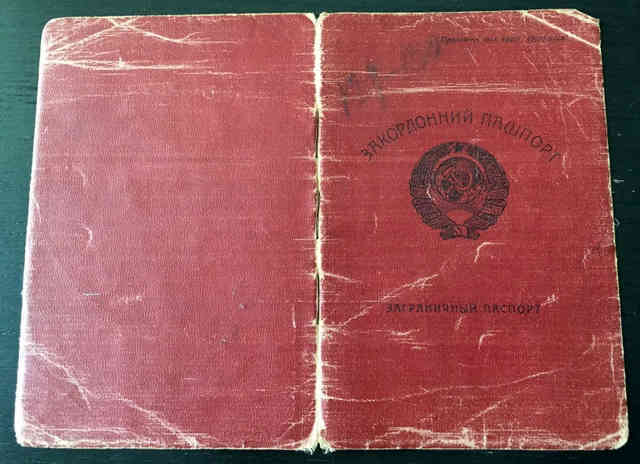 Here is an USSR-UKRAINE passport which is pretty rare. 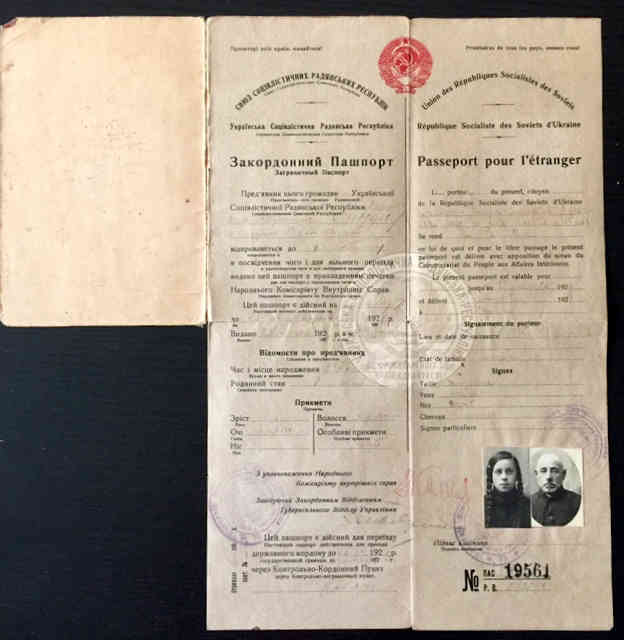 Issued to Yosef and Roselli Sander, leaving from the port of Odessa in 1925, arriving in Palestine on October 5, 1925, also bearing the stamp of the KNVD (the People’s Commissariat for Internal Affairs), language in Ukrainian and French. Visa for Palestine including revenues, Ukrainian stamp and Palestine arrival. 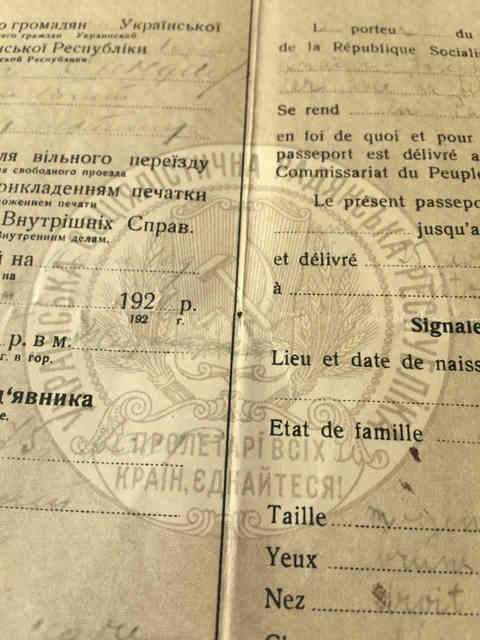 I have seen some USSR passports, which are already rare from this period, but never saw an Ukrainian issue! The People’s Commissariat for Internal Affairs (Народный комиссариат внутренних дел, Narodnyy Komissariat Vnutrennikh Del), abbreviated NKVD (НКВД listen (help·info)), was the interior ministry of the Soviet Union. Established in 1917, the NKVD was originally tasked with conducting regular police work and overseeing the country’s prisons and labor camps. It was disbanded in 1930, with its functions being dispersed among other agencies, only to be reinstated as an all-union ministry in 1934. The NKVD undertook mass extrajudicial executions of untold numbers of citizens, and conceived, populated and administered the Gulag system of forced labor camps. Their agents were responsible for the repression of the Kulaks, and the mass deportations of entire nationalities to uninhabited regions of the country. They oversaw the protection of Soviet borders and espionage (which included political assassinations), and enforced Soviet policy in communist movements and puppet governments in other countries, most notably the repression and massacres in Poland. In March 1946 all People’s Commissariats were renamed to Ministries, and the NKVD became the Ministry of Internal Affairs (MVD).